It was a game of two halves. The first was played in driving rain, the second in sunshine. 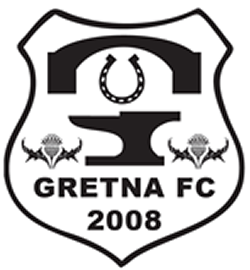 Gretna were ineffectual in both. 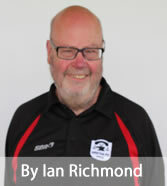 Stuart Rome persevered with the 3-5-2 formation he had tried at Kendal the previous week. Rather than turn numerical superiority in midfield to their advantage Gretna’s play was cluttered..
Sean Muhsin opened the scoring on 23 minutes with a 35yard shot that Parker never saw. Shortly afterwards Anderson shot well wide when presented with a clear shot on goal. Gretna continued to press. Anderson set up Dean Douglas who shot well wide. ON 36 minutes Douglas crossed for Smith to set up Anderson who brought a good save out of Amos. Amos starred again to push aside a Longcake header from a Rea free kick. Hopes of second half revival were quickly dashed when City won a corner from an offside position. Harrison headed home to make it 2-0. Gretna struggled to make their efforts pay off. Smith flighted a free kick to Anderson who headed just wide. Addison struck the junction of the post and bar. Douglas hit the underside of the bar. The replacement of Anderson by Milligan failed to change matters. City got a soft penalty which Gair converted to wrap matters up.